Black Tea Exports (Pvt) Ltd. is proud and certainly privileged to be an integral part of this miracle beverage…PURE CEYLON TEA, the world’s finest tea. Being located in Sri Lanka (formerly called Ceylon) has given us the opportunity and a definite advantage to offer truly authentic tea that’s handpicked, carefully processed; perfectly blended and bursting with freshness and natural goodness. 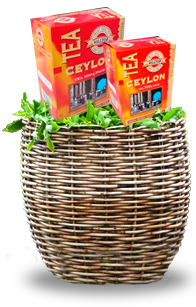 Ceylon Tea, today acclaimed as the finest in the world was first introduced to the Island by the British colonial rulers in the early 1800’s. Ceylon, as it was referred to then, is an Island situated in the Indian Ocean, off the south eastern tip of the Indian sub continent. The country with its natural geographic situation and widely varying climatic conditions and altitudes offer a wide variety of teas from delicate to robust, each type with its distinctive intensity, flavor, aroma and taste. 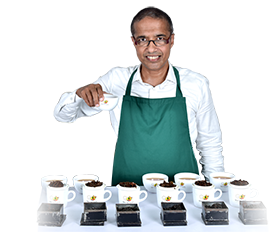 We at Black Tea Exports ensure that all our teas are handpicked and carefully selected from some of the finest tea plantations around the country and the Colombo Tea Auctions where the country’s finest teas are auctioned on a daily basis. 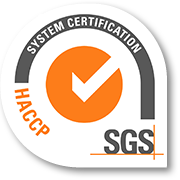 Thereafter a stringent quality controlling process right through the blending, tasting and packing process carried out by a team of experienced professionals ensure a high quality end product that’s on par with international standards. Our flagship brand “Hilltop” is our promise of an authentic Pure Ceylon Tea experience; lasting memories of probably the finest tea you have ever tasted. Adding more value to some of the finest teas, we offer the regular string & tag, tag-less and envelope type tea bags both single and double chamber, in addition to premium nylon net pyramid tea bags. These teabags promise to provide a convenient single serve ready- to-drink experience.